Wargaming announced that they are bringing their epic naval battles to the Playstation 4 and Xbox One with World of Warships: Legends. It is scheduled to release in 2019, with more information to be revealed at Gamescom 2018. Being developed by Wargaming St. Petersburg, it will provide a fresh take on the 20th century naval warfare by taking advantage of the power of modern consoles. 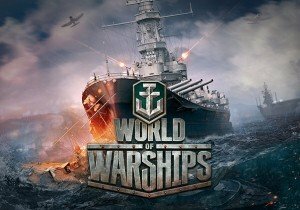 World of Warships: Legends will feature the most iconic warships in history and the naval MMO will also offer exclusive content to console users. Wargaming St. Petersburg will be inviting aspiring testers with knowledge of English to experience it first, with an Alpha Test slated for July. Interested parties can sign up at the link below. KoramGame has announced that Spirit Tales will begin its open beta on April 25.